We provide complete gutter installation to compliment the styles and materials of your home. When it's time to replace your gutters, it's important to get the right solution for your home. At LeafGuard by Midlands Home Solutions, we install quality gutters in a variety of materials from industry leading manufacturers. Our gutters always provide the durability and weather protection you need while ensuring your home has a great finished appearance. 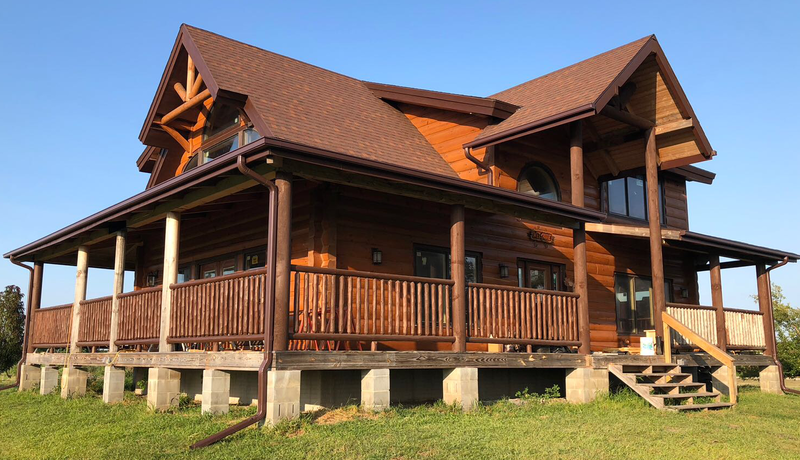 If you're interested in gutter installation for your home, give us a call today at 1-844-807-6136 or click below to get started. Our experts will evaluate your home and recommend the right solutions for your needs. 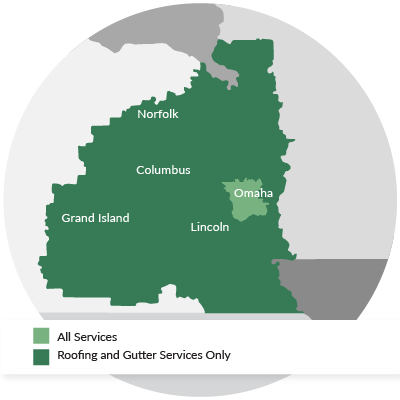 We offer free estimates on all our work in Council Bluffs, Lincoln, Omaha and the nearby areas! Get a Free Gutter Installation Quote Today! Gutters are available in various sizes and styles, each with their own benefits. LeafGuard by Midlands Home Solutions will help you determine the best options for your home. If your gutters are leaking, clogging, or damaged, LeafGuard by Midlands Home Solutions is here to help. We offer quality gutter and downspout services to ensure that you get the weather protection you need for your home. Our experts will provide you with a quality gutter installation designed to fit your home's specific needs. Call us today at 1-844-807-6136 or contact us online to get started with a free estimate in Omaha, Lincoln, Council Bluffs, Sioux City, Bellevue, Grand Island, Kearney, Fremont, Hastings, La Vista and the surrounding areas. Get a FREE Gutter Installation Quote Now!